Moulin Roty’s Mini Sylvain soft toy is part of the ever popular La Grande Famille, simply meaning the Grand Family. 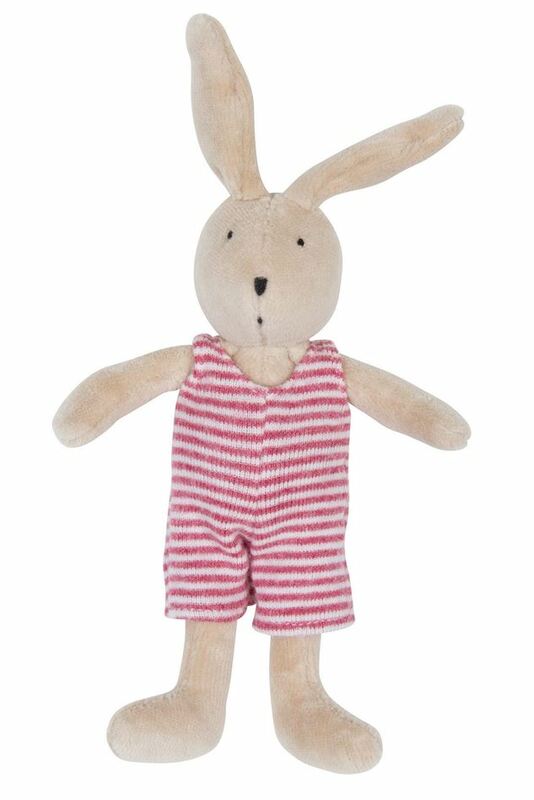 This sweet Grande Famille rabbit comforter has a soft plush beige body, lovely long bunny ears and is wearing a sweet removable red and white stripy romper suit. He is the perfect size for little hands to hold and would make a lovely first soft toy. Approx 18 cm (including ears).